What exactly are the gun laws in the USA? Following the recent shootings in San Bernardino, USA where 14 people were killed by a radicalised couple, I realised that I was not really aware of the gun laws in the country. Surely not just anyone can own a gun and carry it with them all the time? Also, why has no change be proposed to them as the number of shootings seems to be rising so quickly? Essentially, any American citizen over the age of 18 is allowed to buy a shotgun or rifle and once they are over 21, they can also buy and carry a handgun. Some people cannot own a gun, these include: convicted criminals, people with mental health illnesses, drug addicts and army veterans who left under dishonourable conditions. However, there is a notorious way for the above-mentioned to still get hold of a gun, this is known as the ‘gun show loophole’. The buyers of a gun are not checked at a gun show and so anyone of the right age can buy a gun here. Similarly, many mentally-ill people who really should not be able to own a gun are not registered in this way by a court and so most are still able to get their hands on one. Individual states’ policies vary hugely though. For example, the states of the District of Columbia and Florida ban all carrying of guns in public, whether open or concealed. They are among only five states to do so. But Oregon allows these for all who own a gun, so long as they have a permit. This ‘right’ to own a gun comes from the Second Amendment of the US Constitution of 1791. This stated that: "A well regulated Militia, being necessary to the security of a free State, the right of the people to keep and bear Arms, shall not be infringed." Americans take this to mean that every individual has the right to own, carry and use a gun. Whilst gun lobbyists claim that stricter gun laws would only make the population less safe as only criminals would be armed and there would be no method for self-defence, there is a clear relationship between ownership of guns and gun-related violence. In the US, 117,000 Americans are shot every year and 33,000 of them die from their injuries (that’s 101.13 per million of the population). 270 million guns are owned by US civilians. In contrast, in Britain in 2012, there were 640 gun-related murders – only 10.43 deaths per million of the population – due to there being only 1.8 million legal guns in Britain. This clearly shows that the greater the number of guns in a country, the greater the number of murders by shooting. Contrary to what I expected, as the number of mass shootings in America has risen, the public’s support for stricter gun laws has declined. A survey taken every year where the same question is asked – do you favour or oppose stricter gun control laws? – found that in 1989, 65% of Americans favoured the stricter laws, but this year the public was evenly divided. Herein lies the reason why imposing more gun laws is not a priority for the government and is rarely addressed in presidential campaigns, it is simply such a divisive issue and one which will gain a party few votes. Additionally, pro-gun groups such as the National Rifle Association (NRA) and the Gun Owners of America (GOA) are extremely influential and wealthy, so politicians fear that arguing against these groups will lose them support. In 2013, Obama proposed to Congress that all buyers of a firearm should require a background check (including by private sellers, which were exempt). This was strongly rejected. It is believed, on the other hand, that even if this law had been approved, that nothing would have changed. Due to the system where it is up to states themselves to decide their gun laws, a change in national law would not have had much of an impact on the gun laws of individual states. This surprises me, as it seems clear that increasing control on guns would be a very easy way to reduce gun crime – including mass murders. It is more difficult to carry out the killings themselves and a petty dispute would not lead to death. The image of John McDonnell, the shadow chancellor, quoting Chairman Mao's 'Little Red Book', and subsequently throwing it at George Osborne has sparked controversy amongst many. Although McDonnell has stated the stunt served only to prove a point about the Chancellor selling £5 billion worth of British public assets to China and said it was a "self-deprecating joke" (after having been accused of being too left-wing), the "joke" fell flat and backfired on the Labour politician. This is because the historical context of the book is far more unsettling than McDonnell perhaps realises. He merely said, "yeah of course and I condemn all that” when confronted on BBC News about how Mao is responsible for 20 million deaths in China (although the actual death toll may well be up to 78 million). These deaths were primarily caused by starvation, due to ill-fated policies such as the 'Great Leap Forward' into modernisation in 1958, which aimed to rapidly industrialise China through collectivised agriculture, yet actually backfired and caused the economy to shrink and 20 million people to starve in the Great Chinese Famine. The 'Cultural Revolution' followed in 1966, and aimed to reassert Mao's power through the destruction of any capitalist or traditional elements still remaining in Chinese society. This involved the closing down of schools, the ransacking of historical sites, and the Red Guard's public humiliation and arbitrary imprisonment of anyone suspected of opposing Mao. 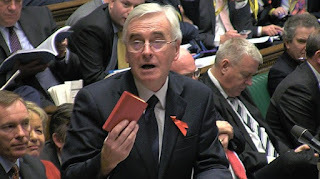 Yet it is not only the vast number of deaths blamed on Mao that created such a negative stigma around McDonnell's actions, but the insensitive reminder that it caused for many Chinese of Mao's tyrannical regime, epitomised in the form of the 'Little Red Book'. I asked an ex-Chinese citizen about his experience of growing up in Maoist China in the 1960s and 70s, who said "as soon as I entered primary school, I had to learn the entire Little Red Book from cover to cover. The first words I ever learned to write were "long live Chairman Mao". If you dropped a newspaper with Mao's image on, and just so happened to accidently step on it, you could be persecuted...we didn't know anything about the outside world". This event, however, has also sparked conversation as to how terrible Mao truly was for China, Diane Abbott (another Labour politician) recently stating that Mao "did more good than harm". In China, Mao remains an untouchable icon, and the Chinese government has said Mao's legacy consists of "70% effective revolutionary, 30% bad governance". Another defender of Mao (who wishes to remain anonymous) has said that "Westerners like to demonise Mao, and often look past his many achievements". He did, admittedly lead the country out of countless civil wars and foreign invasions following the fall of the Qing Dynasty, promoted equal rights for women and raised Chinese life expectancy from 35 to 65. So was Mao a hero or a villain? The answer is most likely both. He was an idealist whose poorly executed plans led to the loss of countless lives, and whose power and fame eventually corrupted him. Yet his regime arguably laid the foundations for his successors to build China's economy to its current towering height. McDonnell's "jocular" statement serves to highlight how unaware people are of Chinese history and how something so seemingly innocuous as a book can actually embody a period of history characterised by decades of famine, failure and a ruthless personality cult. In Mao's own words: "Lifting a rock only to drop it on one's own feet" is a Chinese folk saying to describe the behaviour of certain fools." At Bridge Club this morning, Nicky Morgan and Rebekah Brooks joined a bright array of knowledgeable women to discuss the ever-present issue of gender equality, principally in politics, and the devastating effect open sexism in the media has on it. Nicky, who joined the conservative party at the age of 16 and has since become the Secretary of State for education and Minister for Women and Equalities in 2014, began by declaring how politics is about people, how they live and what makes them tick. Women can be just as successful, if not better, at sussing these things out- naturally we have great empathy and therefore flourish in building up relationships within constituencies. Yet inequality is still unmistakable in the majority of professions nowadays, although Nicky wishes to change this. Unsurprisingly, juggling motherhood and a significant role in politics means Nicky and her family face frequent difficulties in everyday life. Nevertheless, this doesn’t prevent her from prospering in her career, despite the fact she’s a woman working in a cabinet of 75% males. In saying this, women can’t always assume the role of the victims; we must help ourselves by pushing our limits rather than accepting second best. It’s not solely up to men to eradicate sexism- we can’t simply wait for it to fade; we must be the devices used to rub it out. Nicky then explained how, when asked to apply for a chief position, it’s part of women’s nature to presume they don’t acquire the desired qualities to fulfil that role. Whilst men would view having 3 out of 10 characteristics in an ‘at least I have 3’ manner, women would steer in the opposite direction, fretting about the 7 they lack. 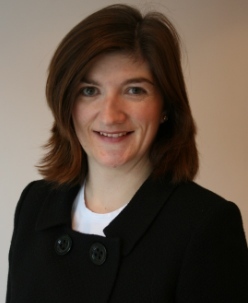 Women need to be more poised and assertive in themselves and their abilities, highlighting the importance of inspirational women role models, such as Nicky Morgan, in today’s society. Moreover, Parliament needs to reflect the country they are trying to represent, hence why David Cameron is adamant in aiming for both one third of the cabinet to be female by the end of his office, and to completely eliminate the general pay gap in the next generation. The question is how do women rise to, and remain on an equal level to men? Understandably, women can’t run the country without men, but Nicky expressed the solution as involving knitting more women into the agenda. Gone are the days when men would only help men and women only helped women; integration is key when it comes to boosting equality in politics and ultimately boosting equality in aspects of life. Rebekah Brooks, CEO of News International, then raised the debate is the media sexist, to which Nicky modestly replied with ‘inevitably’, summing it all up. This needs to change. After being editor of The News of The World when illegal phone hacking was carried out, Rebekah’s bore a very turbulent past with the media, and voiced her belief that elements of what she’s undergone has been due to her gender. As a result, a lot of media coverage puts women off going into politics, especially as we’re more conscious of our appearance and intelligence than men, thus sexist media undoubtedly disheartens many budding women politicians. Sadly, sexism is deep-rooted in all forms of media, including online and broadcasting- there seems to be no escaping it. For this reason, Nicky cited the need for a much more systematic approach to spotting young talent and creating pathways to guide the youth, so skill isn’t clouded by fear of bigotry. From Nicky’s point of view, the lack of women in the hierarchy of politics is not down to the public. In fact, local women really love to see women in their area taking charge in politics- there’s clearly no issue with public appetite. Conversely, the Tories admittedly need to work on parties that select infrequently. This may contribute to the end goal of increasing the number of able women with authority in politics as soon as possible. As the London mayoral election approaches it is time for each of the parties to choose who their candidate will be. I recently went along to one of these hustings to see the Conservative candidates that could become mayor. Each of the candidates were surprisingly different despite the obvious crossovers in policies. 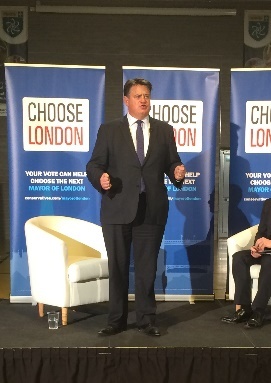 The four candidates that had been shortlisted for the mayoral candidate were Zac Goldsmith, Syed Kamall, Andrew Boff and Stephen Greenhalgh. Each of them was different with Andrew Boff towards the right of the Conservative spectrum and Zac Goldsmith the clear favourite amongst the supporters. It was interesting to look at how each of them prepared themselves as this was not a normal hustings. Each of the four candidates had a 3 minute opening then a 15 minute interview with the same questions asked to each one. Although it did not supply as much excitement as the usual kind of hustings it allowed the audience to come up with their own conclusion on the performance of each candidate. Stephen Greenhalgh was the first of the four candidates to speak and his track record put him forward as a likely successor to Boris Johnson. He has previously worked as deputy mayor so his experience in the sector is well justified. However, his nerves were clear to see and the least competent speaker of them all. He may be a very good politician but not necessarily the best at being the front man for the Conservatives in London. 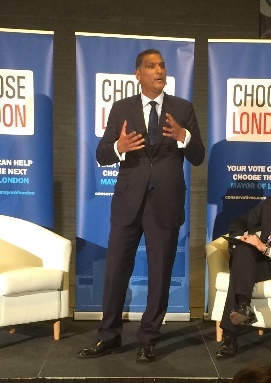 Despite this he did make some excellent points on the current housing crisis with a suggestion towards using GLA and TfL land for a “right to build” scheme. This was much like the plans of the other three candidates. Each of them recognised that housing is a big issue to Londoners and that at least 40,000 homes need to be built every year with great success than previous years. Andrew Boff was the next candidate out of the green room and gave an impression much like the new labour leader Jeremy Corbyn. Andrew went for a more casual look with a non-matching suit without tie in order to appear more relaxed. To myself and a few around me it just seemed scruffy. However his message was opposite to Corbyn and a very right wing candidate. In looking at terrorism and how to combat it in London Boff wishes to knock down unused administrative buildings and reinvest in the policing system. He believes that if the police are asking for more resources such as guns then they should be given it automatically. I understand that he means if the police need something for their jobs then they should get it but his point seemed quite controversial. Each candidate seemed to suggest an increase in policemen on the beat but failed to give statistics and goals. 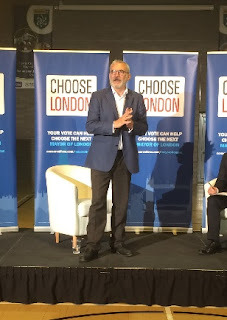 Zac Goldsmith and Syed Kamall suggested that London was a target for terrorists and that we need to start from the grassroots to prevent citizens of London from going abroad to support terrorist groups. 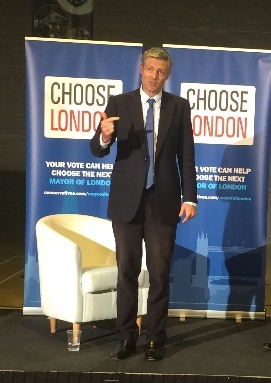 Zac Goldsmith was the obvious favourite for those in the room as the introduction showed. His policy against another runway at Heathrow has made him popular with the green party as well as those in the local area who have to live with the noise of the planes from Heathrow. 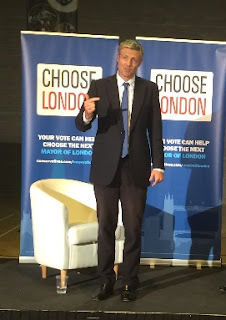 Goldsmith has a clear popularity with those in his constituency as well with his majority increasing in the last election as well as a majority in a referendum that allowed him to become a candidate for mayor. Air pollution was one of the main topics that appeared and his statement was that the congestion charge does not help the situation with air pollution as it just simply reduces congestion, so an increase in price would not help those around. It would instead lead to more people becoming frustrated with the current Government. Finally Syed Kamall enthused with energy appeared on stage to round off the night. He was the candidate that surprised me the most, his passion was sincere and his points unique and valid. He suggested that crowdfunding could help to expand cross rail so that those who would potentially use it can invest to help to make it happen faster. Furthermore he would introduce a referendum on a Thames Estuary airport to make flying easy for London businessmen and residents. What struck me most was his plans on the environment. He courteously complimented Boris Johnsons’ work on an ultra-green zone as the other candidates did throughout their interviews. 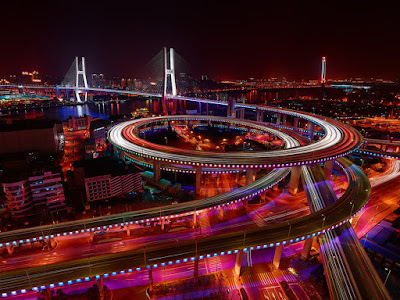 However, he mentioned the use of Zip Cars to reduce emissions as well as the improvement of electric car facilities. This consisted of an introduction of standard car batteries which could be swapped at charging points so that an empty battery could be placed in and a full one taken away. Each of the candidates clearly want to be the next mayor of London and their desire for that comes through. One aspect that I did not expect was the criticism of the Labour candidate Sadiq Khan whom they each called a machine politician and I certainly did not expect this towards all Conservative voters. All Conservative party members now have the opportunity to vote for their favourite candidate and hopefully the results will be appearing in the coming weeks. I don’t usually look into the short list for each party but it was quite interesting to see the different choices for each party and I very much look forward to the debates between parties once all the candidates are chosen. This article was written before Zack Goldsmith's selection as the Conservative candidate. Plaster cost of a body at Pompeii known as the muleteer. This cast led historians to believe that the victims asphyxiated, as he appears to be covering his nose and mouth from the fumes. For many decades, historians have accepted the theory that the victims of Pompeii asphyxiated due to the toxic fumes emitted from the volcanic eruption. This was believed to explain why the casts of the victims’ bodies often depicted them seemingly holding up their hands to cover their nose and mouth. But, a relatively recent study carried out by Dr Peter Baxter from the University of Cambridge suggests otherwise. He believes that the victims instead suffered from ‘thermal shock’. 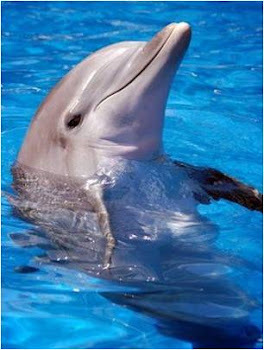 This occurs when humans are exposed to temperatures above which they can survive at (above 200˚C). Here, a person’s muscles and body tissues greatly shorten, so that they are then permanently fixed in that position even after death. 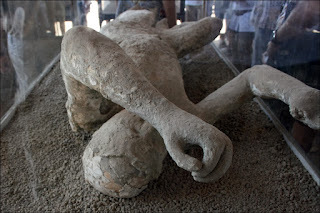 This creates a ‘boxer-like’ pose which is known as a pugilistic attitude, that several of the body casts at Pompeii possess and which led Dr Baxter to question the original theory. Tests were carried out by scientists upon the proposition of this new idea. Ancient bones from Pompeii had a yellow colour. 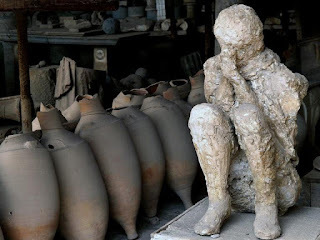 Modern bones were heated to high temperatures between 250 and 300˚C, upon which these too became a pale yellow colour, proving that the victims of Vesuvius’ eruption were subjected to these temperatures. This temperature would have come from the direct heat of the pyroclastic surge combined with the heat from the ash and killed the victims extremely quickly (within a second). Therefore, they would not have had time to suffocate from the ash. This plaster cast displays a pugilistic attitude, leading Dr Baxter to suggest that the victims of Vesuvius did not die from asphyxiation. The three articles below are based on the "Bridging Unit" work written by new Year 12 Politics students, and it's encouraging that they are already taking an interest in some of the issues which will dominate the political agenda this year. We hope to encourage new bloggers to join us so that they can add their opinions to Nonsuch HP! 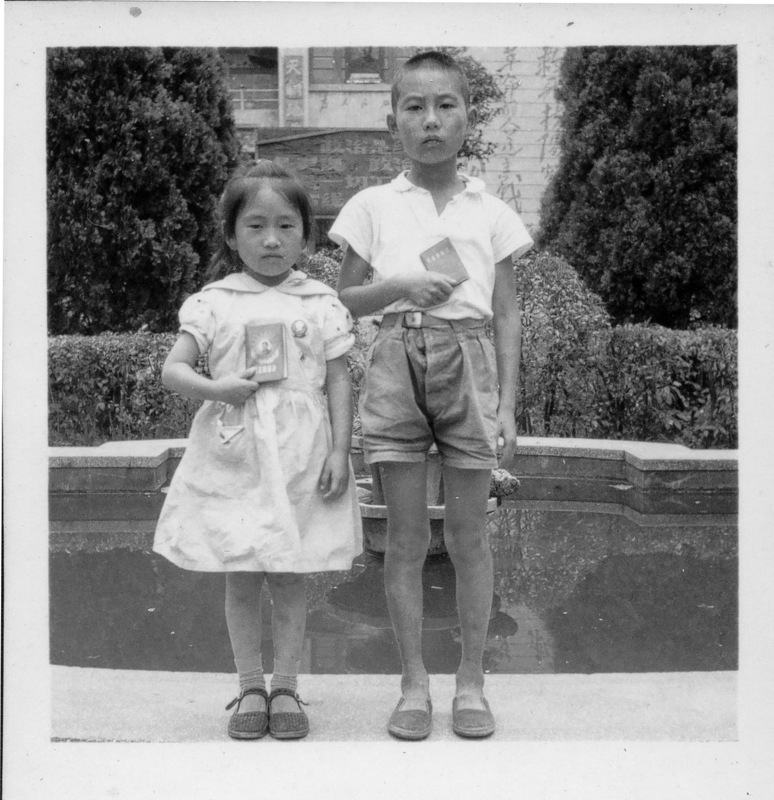 When we say immigrant many words come into mind and over the summer it seemed to be a never ending news item. Immigrants are travelling across the globe in order to make it into the UK. Recently we have seen the chaos that has been provoked at Calais and how we have tried to stop them. As well as this, the recent evaluation of the migrants and refugees has made some interesting progress. We have now proposed to take in up to 20,000 refugees. Refugees are people who need to get away from their own country due to the fear of their lives being at risk. This switch in terminology has twisted the public viewpoint and since put pressure on the Government. However, we need to do much more as a continent in order to improve the situation as a whole. First of all I wish to look at the source of the problem – the wars and poverty across the globe that have caused people to flee. Most of the immigrants want to get away from war and so try to make it to the UK. Most of the immigrants that are currently living in Calais are mainly from Syria and Afghanistan and have made the journey across the Mediterranean or through the land border at Turkey. From the media and politicians there is plenty of stigma and negativity surrounding the immigrants. Especially as Cameron called them a “swarm” and Katie Hopkins called them “cockroaches”. Neither of which is finding a solution to the overwhelming problem. One issue in the press that struck me the most was an article in the Daily Express which told of an illegal immigrant aged 13 being arrested. The dehumanisation of this piece astonished me and just shows the lack of sympathy the press has for children who have run away from their homes to be safer in the UK. What we in Britain need to truly consider is the fact that the illegal immigrants are trying to make their way across because of our country’s actions. We started the war in Afghanistan along with the US so the immigrants are fleeing because of what we created and the destructive bombing that continues. As for Syria, the war that rages on and the air strikes that we place on it leads to thousands of civilians travelling to Europe to save their lives. Although we have done our best in supplying aid in Syria it isn’t nearly enough and the war has driven its people away. Whilst the UK has also managed to take in refugees of war there are plenty more looking for a safe home and for every refugee we take in, Germany takes in 24. What seems to be the underlying tone in most of the press is that they want to keep all immigrants out at all costs. This hardly seems fair as they are just human beings like you or I who wish to strive for a better life, one in which they have food and shelter. However, as we do seem to be battling the current crisis with ‘the asset’ and police officers it seems way too focused and complicated than it really needs to be. First of all we are all aware that immigrants are trying again and again to get through the Channel Tunnel and across on the ferry now with more violence than ever before. 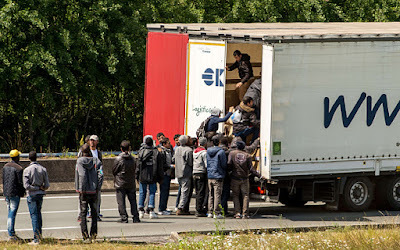 This poses danger to the lorry drivers as well as the immigrants. It has also caused roads in the UK to be blocked by hundreds of lorries which are waiting to go to France. The solution to me seems quite simple but does require the cooperation of the French. All of the immigrants are based in Calais and most around France so the question is why are they allowed to stay in France? This is mainly because the French seem to be happy with letting the immigrants there as they know that they will soon move across to the UK. In order to stop the crisis we first need to try and remove the community that has been built around the port at Calais. Secondly we need the cooperation of the Gendarmerie and our own police force to remove any illegal immigrants from France and send them back either to the first European country that they came into contact with, (that mostly being Italy or Turkey as laid out by the Dublin Regulation) or back to their own country. Finally in the case of the hundreds of trucks that are being delayed hasn’t it occurred to them that there are plenty of other ports across the country which can get them to France such as Newhaven and Southampton. All of this seems a bit harsh considering that we are sending them to their deaths. 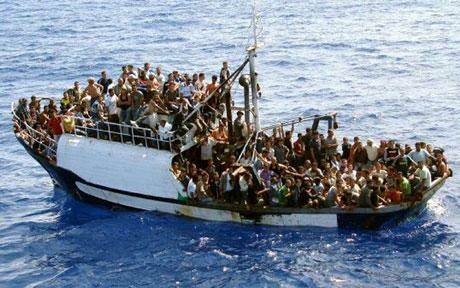 The immigrants are risking their lives to get to the UK every day. First by making the crossing across the Mediterranean to Italy on boats that are squashed and which pose so much danger. As we keep hearing, migrants are dying because the boat sank or they are being abandoned by those who claimed they could aid them. Then they try to make it past police and onto the trains by climbing over fences and holding onto Lorries. Then we send them back to their war stricken countries where they will try to repeat the process again. There is no real solution to this problem just that with so many wars across the globe that the problem has been heightened. If we want real change then we as a country need to stop creating wars and stop killing innocent people in air strikes day after day. The financial crisis in Greece that began in 2009 shortly after the Global Financial Crisis is a disaster that is still going on today and has created quite a substantial mess of the country’s economy. 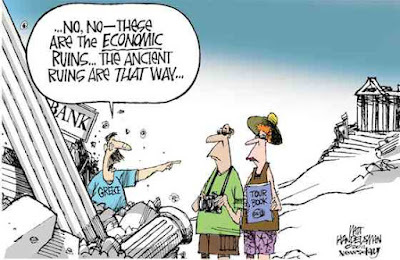 In 2009, while Europe was still trying to recover from the global market crash, Greece announced that it had been understating its deficit figures for years which, rightly, panicked a lot of people and soon after Greece’s credit rating was downgraded by all three of the big credit rating agencies. In 2010, on the verge of bankruptcy, the International Monetary Fund and the EU agreed to participate in bailing Greece out of its huge debt if the country complied with issuing a number of austerity packages, which it did in return for the first bailout package of €110bn over three years. There have been violent protests all over Greece since the austerity packages were announced, with one man even committing suicide a short distance from Greece’s parliament in an act of protest which later became a symbol for anti-austerity groups and resulted in many violent clashes between protestors and police. As of 2015 Greece has been leant around €240bn from the IMF and the EU and still has a whopping debt of €317bn. Whether Greece will ever recover from this crisis is difficult to predict. With a proper plan of action and constant guidance from the IMF and the World Bank, Greece could eventually one day settle its debt. However the government will need the full support of its citizens so introducing more riot-causing austerity packages is not the best idea. Although the EU and the IMF have attempted on a number of occasions to bail Greece out, the money has not been used efficiently. The money has been used to pay of international loans rather than rebooting Greece’s economy and actually allowing money to make its way back into the country through businesses. A proportion of the loans should have been used to rebuild the economy which would also provide more jobs in the country, which are essential now that the unemployment level has risen above 26% and youth unemployment is around 50%. There is also the debate over whether Greece should remain in the EU. 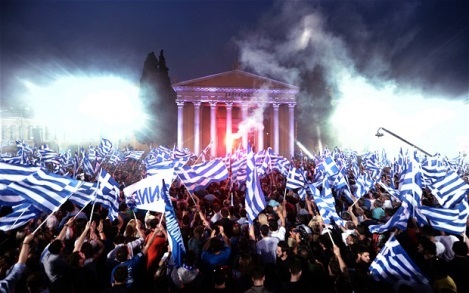 For now the answer is yes, Greece must stay, however difficult that may be. Leaving the EU would be far worse for the country as this would cause them to be shut out of the global capital markets meaning the economy would sink even lower. Trading would be off limits for Greece and the country would be in even bigger trouble as that time they wouldn’t have the EU to fall back on and be bailed out by. Furthermore if Greece left the EU they would have to change their currency back to the drachma which would only create further chaos and disruption as the drachma would lose value and most likely cause inflation. Overall, there is a chance that Greece may eventually recover from this financial crisis but first it must rebuild its economy and begin to increase trading again whilst negotiating with the EU and the IMF about extensions on paying back outstanding debts. 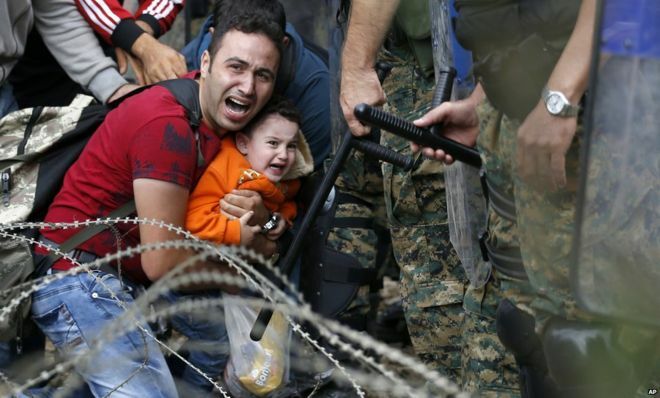 Refugee crisis: Why the sudden surge? As Summer bears to a close, the number of migrants wanting to enter the European Union from war stricken countries such as Syria and Afghanistan is rapidly increasing. Our Prime Minister David Cameron claims there is no room for them here in the United Kingdom, that we simply have room for ‘a few hundred’ when over 4 million are all fleeing the from the Afghanistan war since it broke out 4 years ago. But why has this sudden surge of migrants wanting to come into the EU appeared, and what are we doing to aid them? The answer is sadly, very little. The Government have said that the number of refugees they will accept as a maximum 1,000. Germany has offered 30,000 and Switzerland, a country that is just 15,940 square miles, has offered more than 3,500 to refugees. The fact is that the UK on paper and in practice have dealt with the situation far more poorly that its fellow European countries have. It brings shame on a country that prides itself on being the second biggest contributor to aid funds for the war-torn country, yet when confronted with the issues at hand, when they are effectively at your doorstep, Britain is shamefully turning a blind eye. Whilst the government are fully aware of the issues that the migration of refugees poses to its 64.1 million residents and the effect letting in more than 1,000 may pose for our economy, our jobs and our standard of living; it appears they have forgotten in the midst of the crisis that these are real people. These people have families that need feeding and educating for them to even have a glimpse of hope of a future. At the moment this hope appears to not be something that the UK can offer them; yet we still continue to believe that one of the values we hold dearest as a country is compassion. Where is the compassion in accepting 1,000 migrants out of 4 million? Articles are continuing to make headlines, offering different perspective and ideas on an ever growing problem- “Is military force the solution?”, “Who are the people smugglers?” and “Five obstacles to an EU migrant deal”. Due to an increased presence of Islamic State in Syria, the civil war there appears to not be calming, and as a result of this more and more people are fleeing, desperate to come to the haven which is Europe- where they will be fed and clothed; even if it isn’t by the UK. 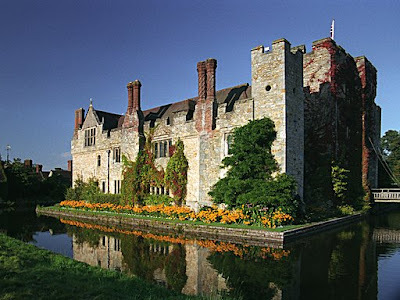 Free from the stresses of exams now, I've been having a lot of fun reading some of the year 7s' efforts at writing historical fiction after their trip to Hever Castle (see previous post). Somewhat inspired by all this creativity, I've decided to post a bit of my own Tudor fiction here. This is, in all likelihood, going to be my final post on this blog, and so I no longer feel any embarrassment about my attempts at creative writing. I wanted to explore some of the religious tensions of the late 1530s, so this is set at the spectacular event that was the christening of the future Edward VI. It's told from Archbishop Cranmer's point of view, and foreshadows his eventual martyrdom under the regime of Mary Tudor in 1556. Mary never really forgave Cranmer for his role in her father's divorce proceedings and the Royal Supremacy, and I wanted to explore their relationship a bit. The Year 7s have been hard at work producing historical fiction inspired by their recent visit to Hever Castle. Here are two entries and we hope to publish more soon! Tudor Historians may find "Mary Tudor:England's First Queen" of interest as it takes quite a sympathetic view of her and David Starkey's "Henry-The Virtuous Prince" looks closely at the often neglected early years of Henry VIII's life. Here is a further selection of Tudor History books and here is a guide from tudorhistory.org to useful authors. The Amazon.com history section of course has a vast range of books and is worth checking for the latest to be published. PS: Here is a list of books and articles recommended for old AEA course (for A Level Students who wanted to stretch themselves further) which are worth considering. 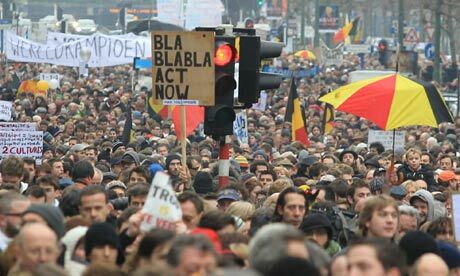 Between 2010 and 2011, Belgium spent 589 days without an elected government. During this time, they broke the world record for the longest time for a democratic country to go without an elected government, overtaking Cambodia’s record of 353 days set in 2003 to 2004. The general election on the 13th June 2010 produced fragmented results where 12 different parties were elected to the Belgian Chamber of Representatives from 11 electoral districts. None of these parties had more than 20% of seats. The largest party (the Flemish Separatist Party) controlled only 27 out of 150 seats in the chamber. The next biggest party controlled 26 seats. Therefore, a complex coalition had to be formed to create a majority government. But, the deep division between the Flemish community in the north and the poorer Walloons in the south, made this impossible. The opposing groups were unable to agree on policy issues and form a coalition. Negotiations between all the parties quickly became repetitive and then deadlocked. However, a new election was not called as it was believed that this would produce either exactly the same results or a significant rise in the popularity of populist parties. 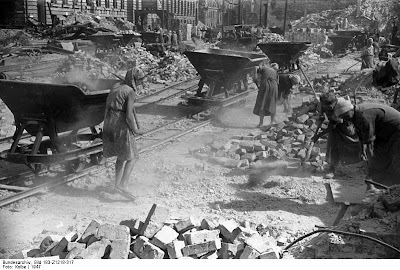 During this period, a caretaker government was put in charge to deal with the day-to-day running of the country. It was led by the former Prime Minister, Yves Leterme. A government of this kind is not allowed to implement any major changes, as there is no majority to vote them in – only urgent policy changes or small alterations are allowed. So, in this case, ordinary Belgians noticed few differences in their lives. There were some benefits, however, as the economy continued to grow, exports increased, Belgium contributed to the NATO bombing of Libya and trains were more often on time than previously. Nevertheless, a caretaker government creates some long-term risks. For example, in 2011 Belgium’s debt was 96% of the country’s GDP, and the caretaker government could do nothing to control the situation, so it just got worse. At this time, a survey by GfK found that 57% of Belgians listed the political situation as their most important worry. Finally, at the end of 2011, Elio Di Rupo (the new Prime Minister) formed a fragile six-party coalition government. This occurred two weeks after an event occurred threatening to plunge Belgium into a debt crisis. Previously the negotiations had been deadlocked, but they all realised how severe the situation had become. The new government was sworn in on the 6th December 2011, marking the 589th day without an elected government. But it is believed that Belgium will split into two nations in the near future, as the division between the Flemish and Walloons causes so many problems and there is a physical language barrier between the two nations, creating significant differences.